Fenced lawn, bring your pup! Dont miss out on this Urban Contemporary townhome located in the highly desirable LoHi. Soaring ceilings & a skylight upon entry makes this townhome light & bright. 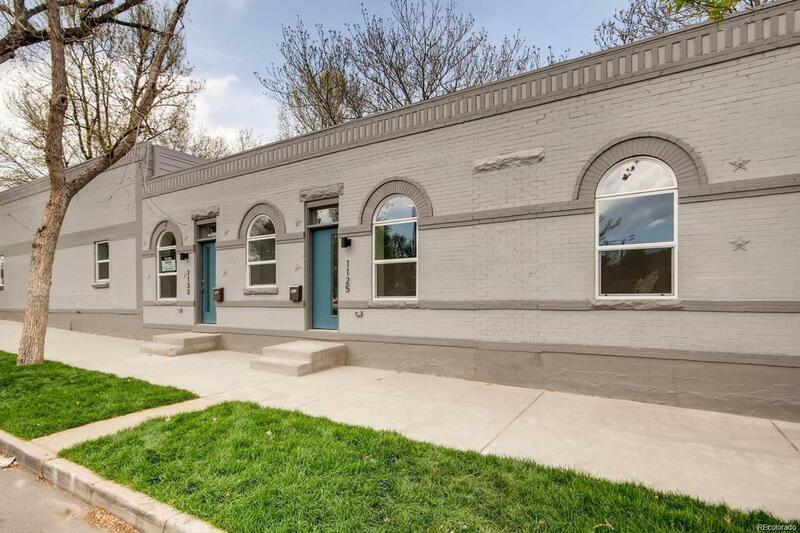 This one bed/ one bath is beautifully renovated with wood floors and plenty of windows. The kitchen is spacious with room for an eat in nook and a bar top perfect for entertaining. Stainless steel appliances and plenty of cabinet space are completed by beautiful white tile backsplash. In the bathroom you will find elegant tile in the stand in shower/tub and another window letting in plenty of natural night. This unit has a privately fenced yard with a low maintained exterior.